When we first moved to Ashland in 1986, Skip was our mailman. We lived in a house on the corner of Laurel and Van Ness and felt lucky to be there. Compared to some of the apartments we’d seen around town, this one was perfect for us – mostly because it had a great big kitchen with lots of counters and lots of natural light. We liked our new apartment and soon thereafter got to know Skip. He introduced himself to us and we both liked that he was so friendly. 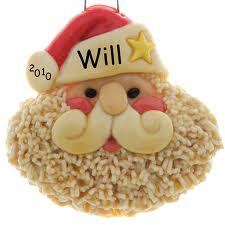 When Christmas came, I wanted to give something to Skip but we were both students and money was tight, and so I made him a santa ornament that I’d fashioned (and painted) out of salt dough (much like this one). Fast forward 7 years and we have moved away from Ashland and just returned. We bought a house in “Quiet Village” and who should our mailman be but Skip! I liked that even though much had changed with us (we’d had 2 children since we’d last seen him) – Skip was still the same. 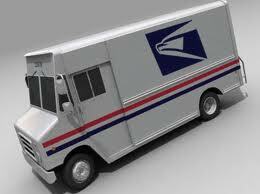 Skip continued to deliver our mail to us until he retired about 4 years ago. He invited us to his retirement party and on one table he had displayed a bunch of gifts that he’d been given over the years. Right smack in the middle of those gifts was my Santa ornament! I was touched that he’d kept it with his “treasures” from work. Today I made a Strawberry Rhubarb pie for Skip. When I called to see if he was home, he told me that he was away for the day. I told him about my pie project and immediately he said, “you don’t know how perfect this is.” When I asked him to tell me why today was perfect he told me, “Today is my son’s 35th birthday. And it is also the 3 year anniversary of the accident.” Three years ago today Skip was riding a motorcycle, with his wife as a passenger, when he was cut off by a man who ran a red light. Skip was seriously injured in that accident, his wife was injured as well, but fortunately, they both survived and recovered. I am so glad that I was moved to give Skip (and Janice) a pie today. I am very grateful for the friendship that he has shown to us over the years and wish them both the very best. I do love you. It is 11:30pm and I savored a small piece of delicious strawberry pie earlier. I was on my way to bed and checked out your site, started reading it out loud to Janice. I had to stop as I started to choke up and a tear came to my eye. You and Emile are wonderful people and I am doubly blessed by a loving God to have you and your family as personal friends. Thank you very much for the pie and the expression of friendship you have shown. God has given you talents that are easy for you and you are using them to bless others. How special is that! Hope to be able to have our lives intertwined.